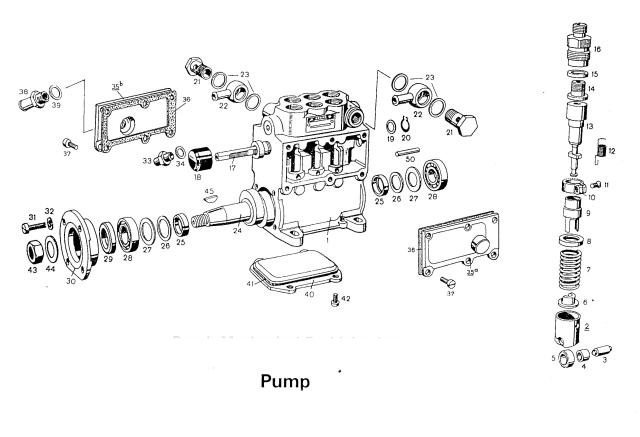 These diagrams show the parts making up a typical PED 6 KL pump. 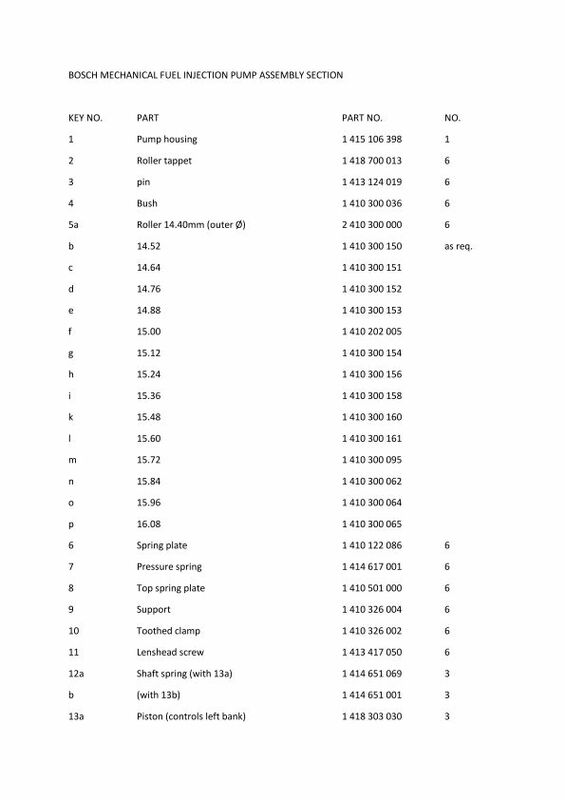 Some minor variation occurs between models. 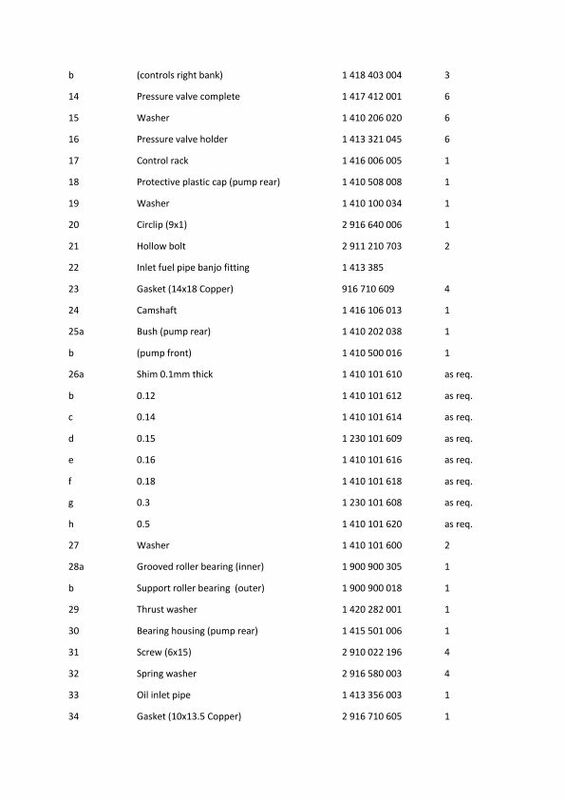 These are the part numbers you need if you need to order new parts from Bosch. 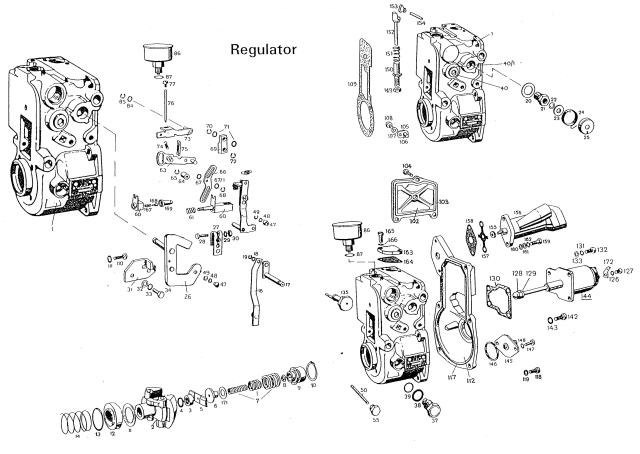 However many of the parts are now no longer available new. 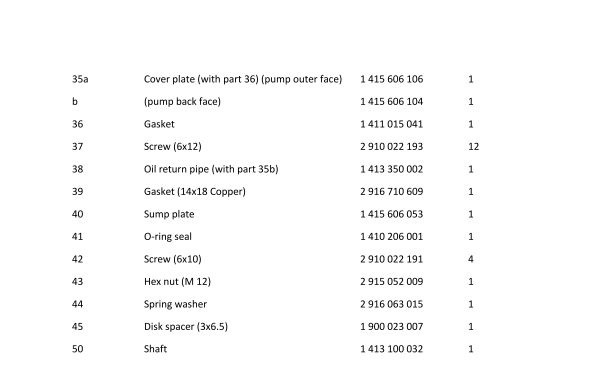 While Bosch do a repair kit for the PED and PES pumps, these are often out of stock and are quite expensive. 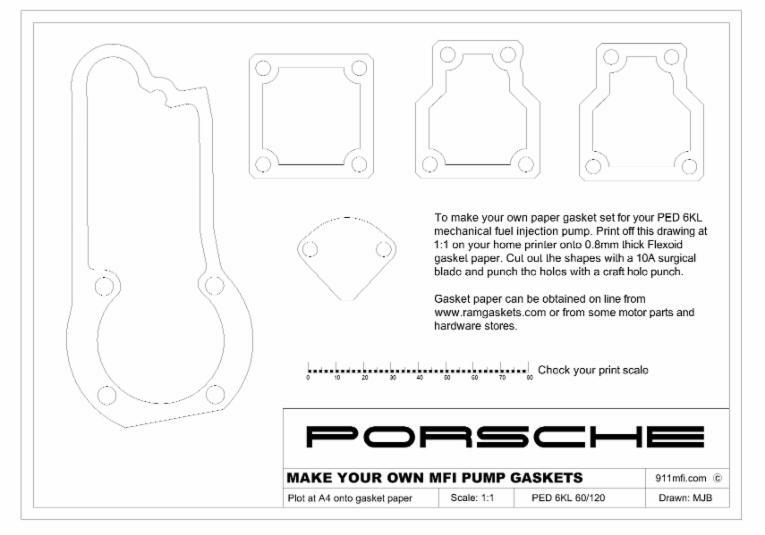 Anyone wishing to make their own gaskets can use the drawings below. 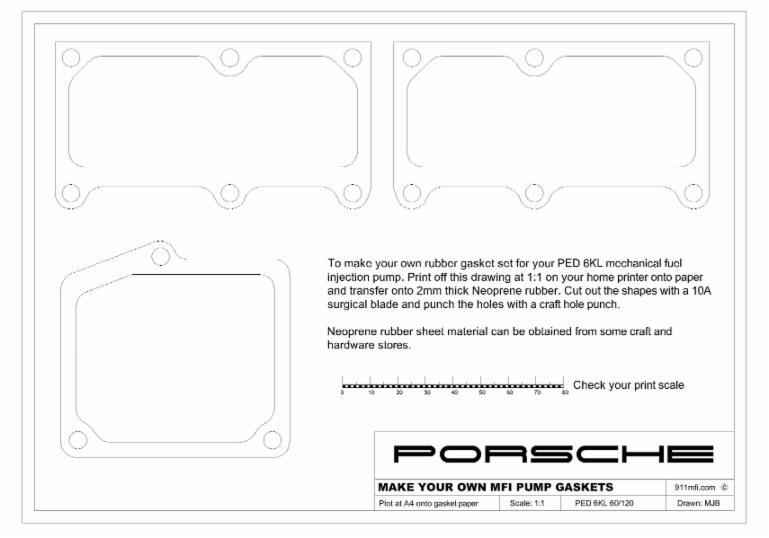 Download the free PDF files then print at A4 onto 0.8mm thick Flexoid gasket paper at home. They can then be cut out with a surgical blade and the holes made with a craft hole punch. The 2mm thick sheet rubber can be obtained from good craft stores and can be cut the same way with a blade dipped in oil.